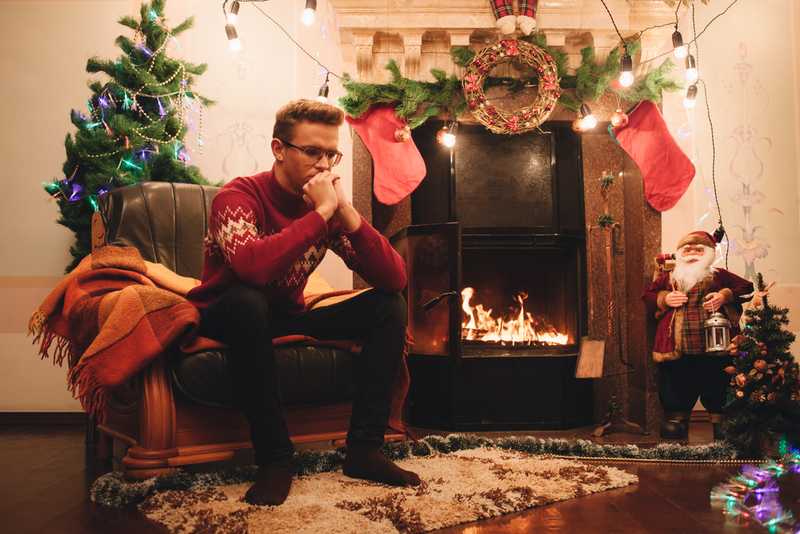 Breakups are always hard to endure, but when they happen over the holidays, it can feel extra painful and difficult to cope with. This is a time normally filled with joy and celebration, love, family gatherings, and gift giving – so finding the distraction you need can feel next to impossible. But there are ways you can distract yourself from the heartbreak and avoid feeling lonely or depressed this holiday season. If you’ve endured a breakup during the holidays and are wondering how to cope, here are a few methods you can try to get some enjoyment out the holidays still and surround yourself with all the love and support you need. One way to get your mind off of things is to spend time with the people who love you the most. Whether you spend more time with close family members or plan a weekend away with some of your closest friends, being with those who care about you can help you feel comforted during this challenging time. If you and your ex had certain holiday traditions and routines, now is the time to change them up. By creating entirely new experiences and memories, you will think less about your ex, which can help you move on faster from your breakup. When you share friends with your ex, it can be even harder to cope with after a breakup. But it’s important that you don’t put them in the middle of your breakup or toss them to the side. Now is an appropriate time to talk to your friends about sharing their time so that you get to see them over the holidays while avoiding the awkward tension with your ex. See if they can help divide any arranged events so that if your ex is attending, you can hang out with them at another time. This way you won’t have to feel as if you’re being left out or risk bumping into your ex. When you’re in a long-term relationship, it’s easy to become attached to your partner’s family. This can make it hard for you to distance yourself after your breakup, especially around the holidays. But by giving yourself space from your ex and their family, you will be able to cope much easier. There’s always that one person who has been in the dark about your breakup and brings up your ex when you least expect it. So instead of feeling overwhelmed with emotion when their name comes up, prepare to talk by having a quick one-liner ready to explain briefly and inform the person that you’re moving on and focusing on just enjoying the night. This will save you from awkward conversations and also prevent the situation from ruining the mood. Get Out More Don’t just sit inside wallowing – it won’t do you any good. Instead, get out as much as possible. Consider volunteering, or checking out the Christmas activities in your area. You’ll be surprised how much better you will feel after interacting with people and doing some goodwill for others. Breakups during the holidays can be incredibly hard, and if you’re finding difficulty coping, consider talking to a counsellor who can help you handle the emotions that you’re feeling so you can learn to move forward. At Vaughan Relationship Centre, we have the expertise to help you. Call us today!